are we addicted to success…. Tenure. Partner. CEO. Etc, Etc. Etc. Seems like an ongoing stream of consciousness toward “making it”. So what it takes up all your time – you miss out on visits to and/or from friends and relatives. You barely talk to or see your spouse or significant other. The words “I’m too busy” are an every other phrase of your lexicon; to the point where people stop inviting you to events, gatherings, or simply stop contacting you altogether. For the workaholic gotta prove myself individual, I guess that’s a good thing; until you’ve reached the goal. Really?! Well, I’ll put it like this…the cartoon character Wile E. Coyote, Super Genius spent his entire being chasing the Roadrunner. Scheme after scheme, plot after plot, failed miserably. 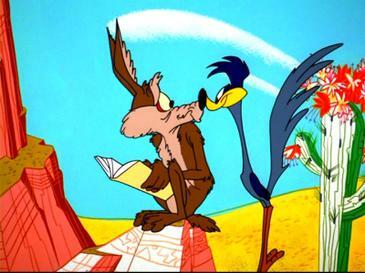 One day an idea grew the Roadrunner bigger than his normal size. After all these years Wile E. Coyote, Super Genius finally caught him…only to utter, “Now what do I do with him? !” LOL!! May sound simplistic, but isn’t that what most people say when they’ve reached the ultimate, “Now what”?! Is this an indictment on reaching success goals – no, not at all. But at the end of the day one should ask themselves how this pinnacle has enriched others; if you found it hasn’t, spend more time with friends, family and your community – maybe then your living (chasing, earning, increasing) will not be in vain.